This discovery teaches us something about new bees — and maybe also AI. It turns out that tiny brains are more capable than previously thought. We already knew various primates, birds, and other animals could solve basic math problems. Now, a team of Australian and French researchers has discovered that honeybees can also speak the universal language of mathematics on a rudimentary level — and the discovery could impact the future of artificial intelligence. 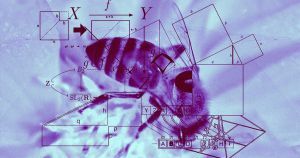 The researchers detail how they taught honeybees math in a paper published on Wednesday in the journal Science Advances. First, they trained 14 honeybees to enter a Y-shaped maze through one arm of the Y. 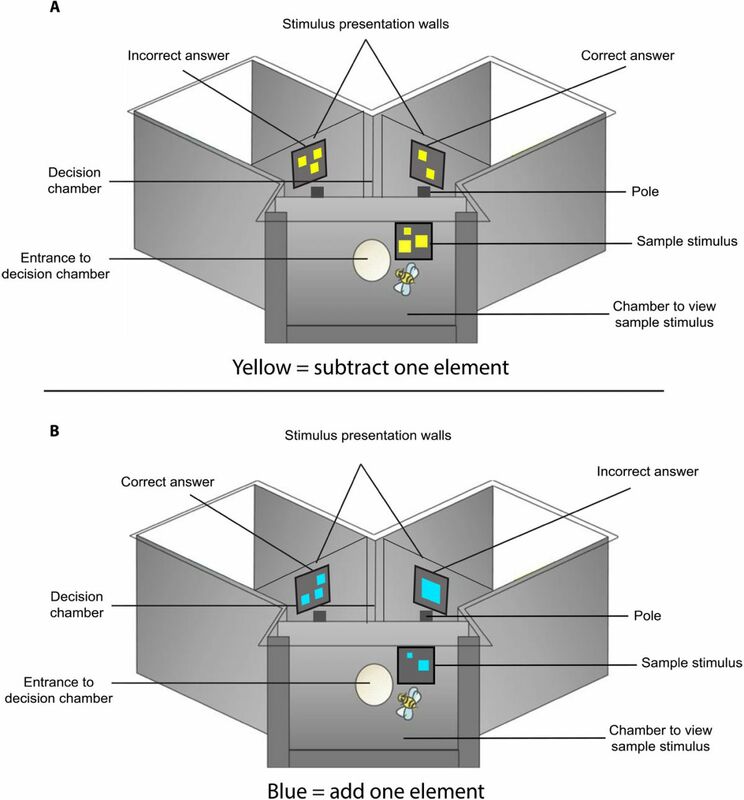 At the entrance, the bee would see a gray square displaying between 1 and 5 shapes, all either blue or yellow. If the shapes were blue, the bee was supposed to add one to the number of shapes; if yellow, it was supposed to subtract one. For example, if the bee saw three yellow triangles at the entrance, the correct answer to the problem was two yellow triangles. Once the bee was in the maze, each exit corresponded to a potential answer. If the bee chose the correct exit, it got to eat tasty sugar water; the wrong exit led to a bitter-tasting solution. At first, the bees would choose arms randomly, but according to the researchers, the insects learned over the course of more than 100 trials that blue meant adding one and yellow meant subtracting one. According to researcher Adrian Dyer, the fact they they could teach honeybees rudimentary arithmetic doesn’t just reveal something new about the animal kingdom. It also demonstrates that it’s possible to pack complex problem-solving capabilities into a small package — and that knowledge could prove useful as we develop future AIs.